Top 50 Oracle Goldengate Interview Questions To Get the Job! When it comes to information technology, perhaps no other company in the world has led the way in innovation more so than Oracle. 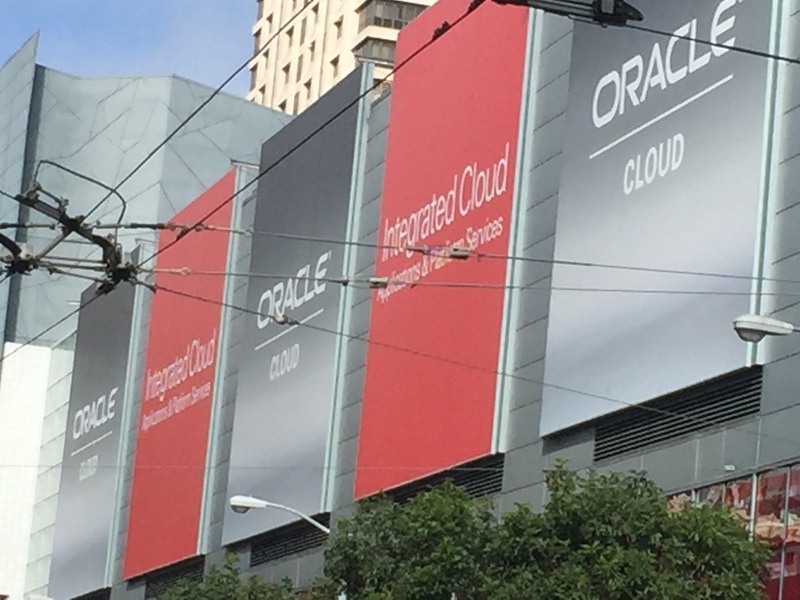 Because of this, there were many announcements and surprises at Oracle Open World 2015. Larry Ellsion, founder of Oracle Corporation and Thomas Kurian, Oracle President of Product Development presented many of the company’s new innovations for now and the coming year. Attendees were both excited and intrigued by the many possibilities they put forth in front of them. As with most IT applications in today’s world, the cloud played a big part in several of Mr. Kurian’s announcements. One of the biggest announcements to come out of Oracle Open World 2015 is the revelation that Oracle’s cloud products can now be used in an analytical capacity by data scientists and professional analysts. For data scientists who regularly use SQL queries to manage and analyze data, Oracle now makes it possible for them to use Big Data Cloud Service, Big Data Preparation Cloud Service, and Big Data Discovery Cloud Service. In addition to this, the company announced that end users can now expect to use Data Visualization Cloud Services requiring only a browser and spreadsheet, making the process much more convenient. With its focus on application software-as-a-service, Oracle made perhaps its biggest announcement yet regarding this area by stating the company now has 183 new modules and services in a span of only one month. To go hand-in-hand with these applications, Kurian also announced at Oracle Open World 2015 that automation of databases as well as day-to-day operational tasks have also been done. Seen as a step in the overall process of cloud services, the company views this as just the beginning of the tremendous potential cloud services offers in these and other areas. As with the many other big announcements that came out of Oracle Open World 2015, the news that integration services were being used in conjunction with cloud services to simplify many complex tasks was very important. By using these services to connect different systems, route data between them, and map data between multiple systems, Oracle believes it has now set the standard by which all other companies offering cloud services should be compared. The Oracle M7 processor is the next generation CPU which has radical design enhancements for Memory Protection, Encryption Acceleration, and In-memory Database Processing. The processor is available in the Oracle SuperCluster M7 engineered system and the SPARC T7 and M7 servers. Some of the features build into the Sparc M7’s are “Silicon Secured Memory” and “Hardware-Assisted Encryption”. This works to secure the data in memory and is on by default with the Oracle 12c Database. “SQL in Silicon” is another capability build into the processor which works to offload functions such as de-compression, memory scan, range scan, filtering, and join assist to the co-processor level. This improves the processing capability of the CPU and speeds up the database performance by up to 10x. This also works with the In-Memory option which is available in Oracle 12c. It’s not quite ready yet so users are encouraged to migrate to 12cR1 sooner than later, as it is a very stable version and in use by a large customer base. Some of the customers who have adopted this version already, include the Financial sector. By migrating to this version it has allowed them to use the newer features, with the most popular being the In-Memory Database option. • Increase DSS Performance by 100x and OLTP by 2x. Learn more about Oracle 12c In-Memory Database. If you would like to share additional Oracle announcements so others can benefit, post them in the comment section below. Join over 3,000 others My posts. Your Inbox. Beautiful. Natik Ameen is an Oracle Production DBA, Oracle Certified RAC Expert and a DBA track Certification trainer for over 17 years. He is an Oracle Evangelist and has presented at IOUG & UTOUG conferences. He writes on topics such as Database Administration, RAC, GoldenGate and the Cloud. Top 30 RAC Interview Questions That Helped Me. Are You Prepared? Oracle GoldenGate Concepts and Architecture Made Simple!